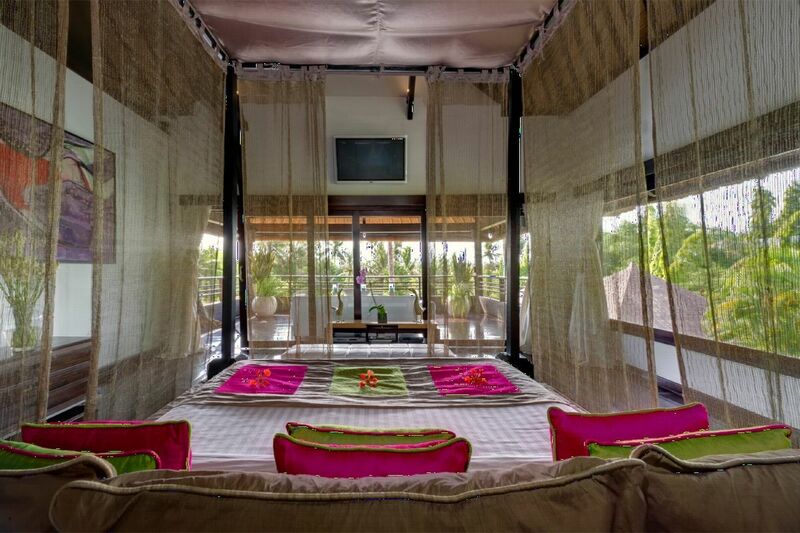 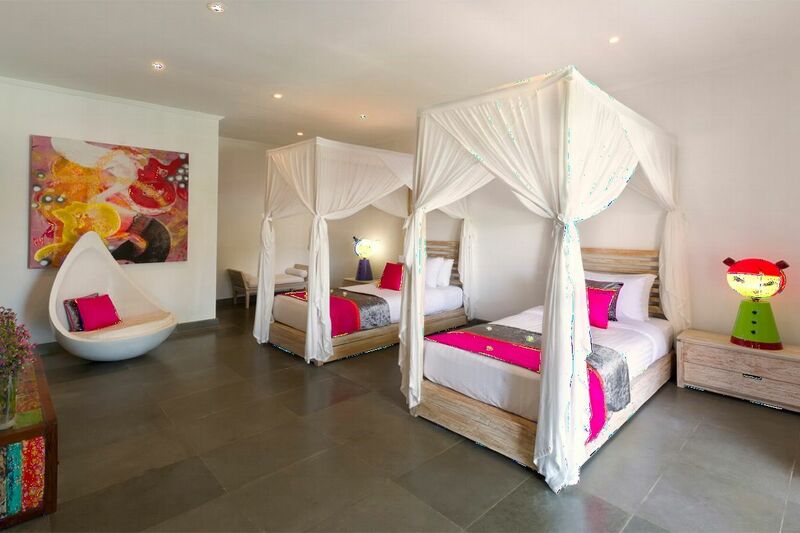 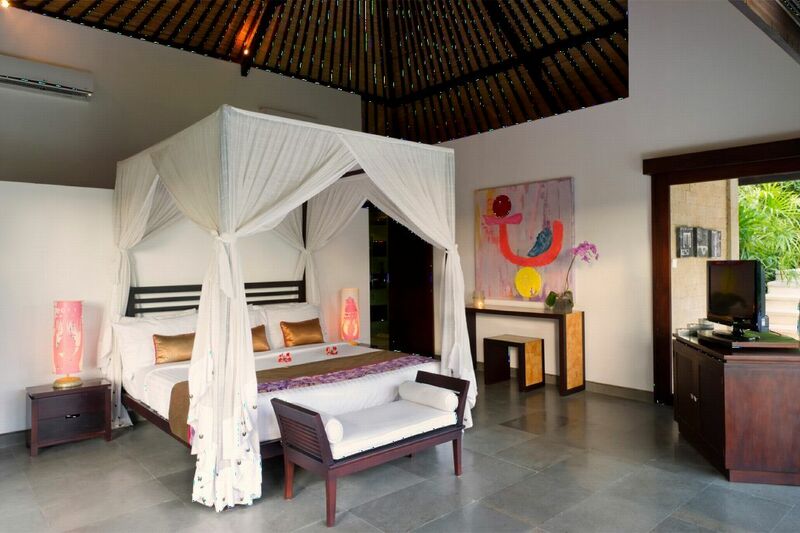 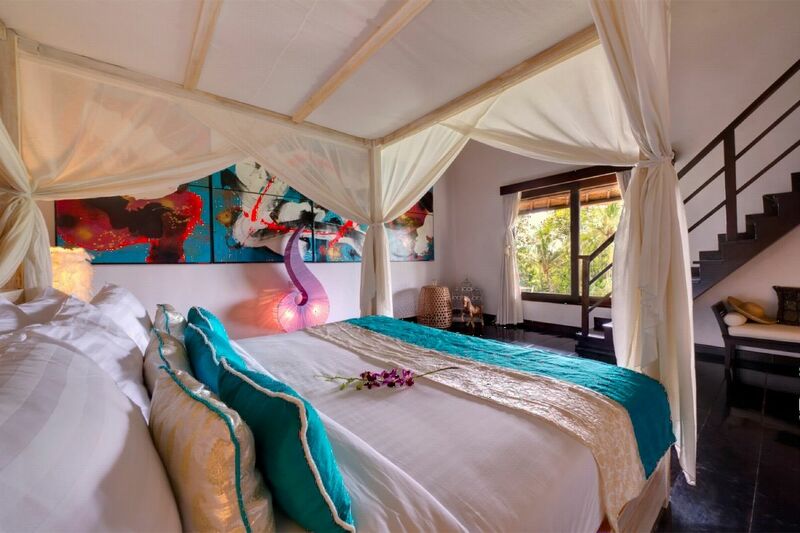 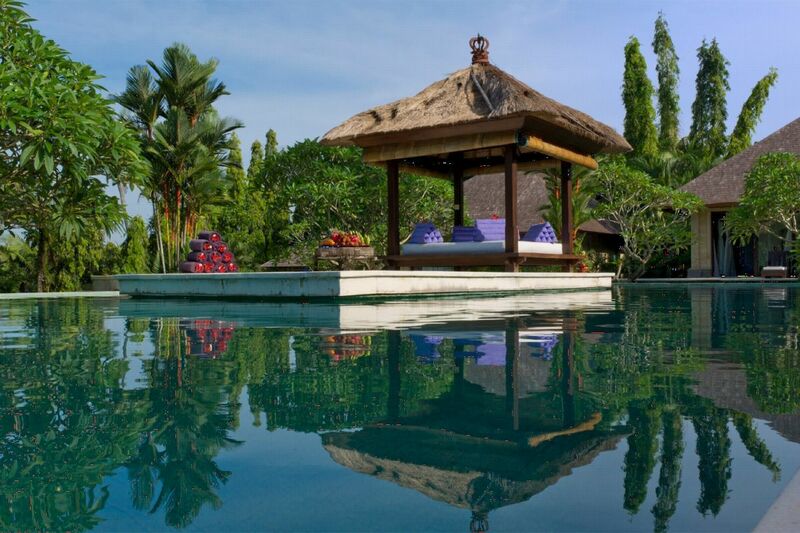 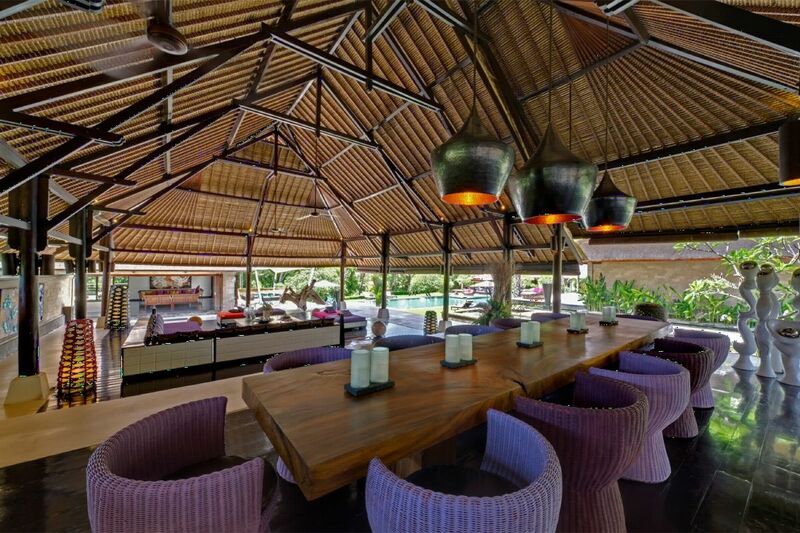 Chalina is located in the heart of the quiet village of Canggu, just minutes from the well-known surf spots of Echo Beach on the southwest coast of Bali. 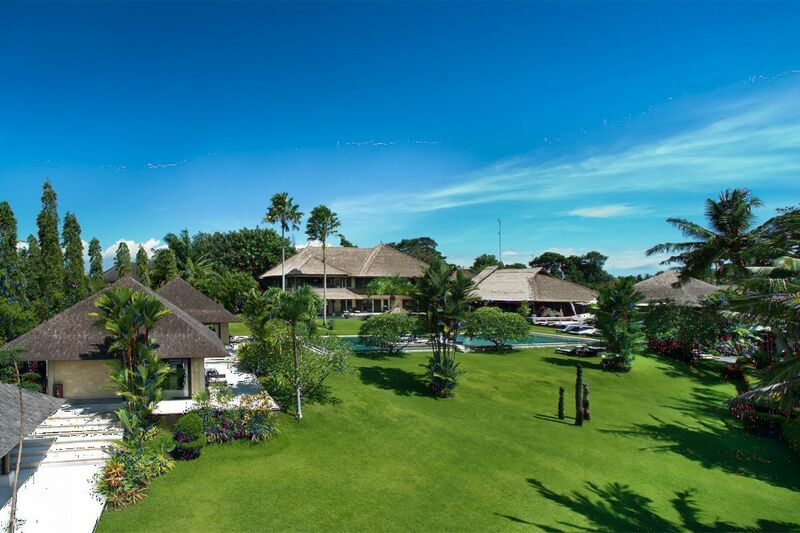 The multitude of sumptuous landscapes is significant: incredible sunsets, overviews of the mystical volcano Batukaru, picturesque rice fields ... Its infinite garden of 5300 square meters along the river offers one more sublime view. 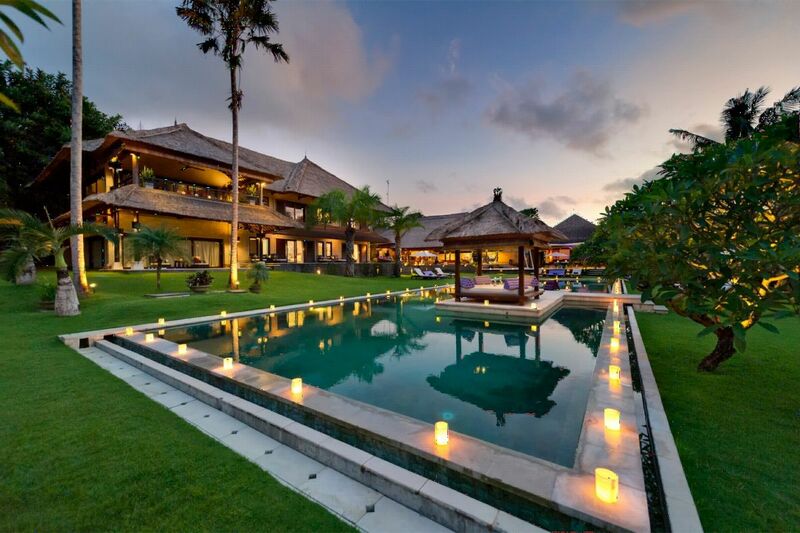 This luxurious villa provides an example of a successful marriage between modernity and antiquity. 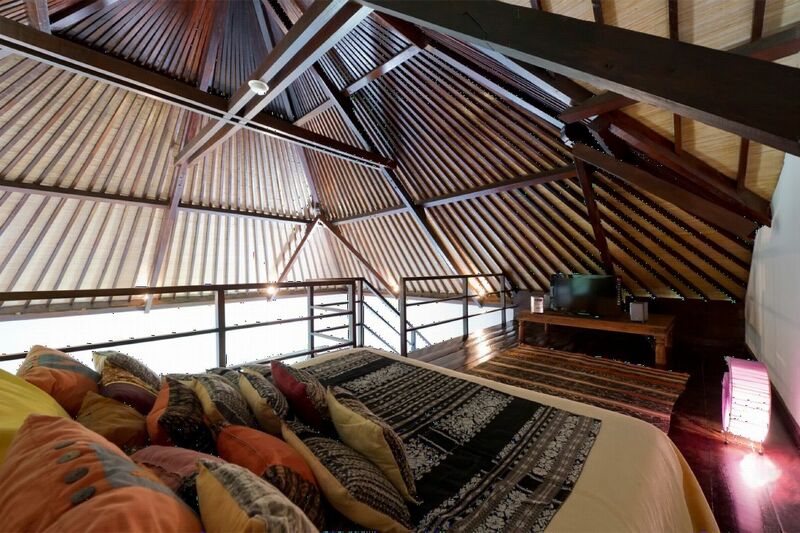 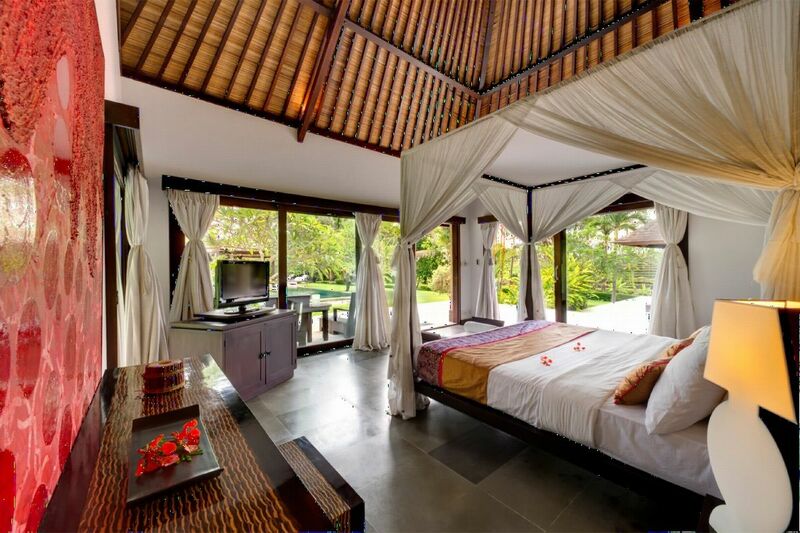 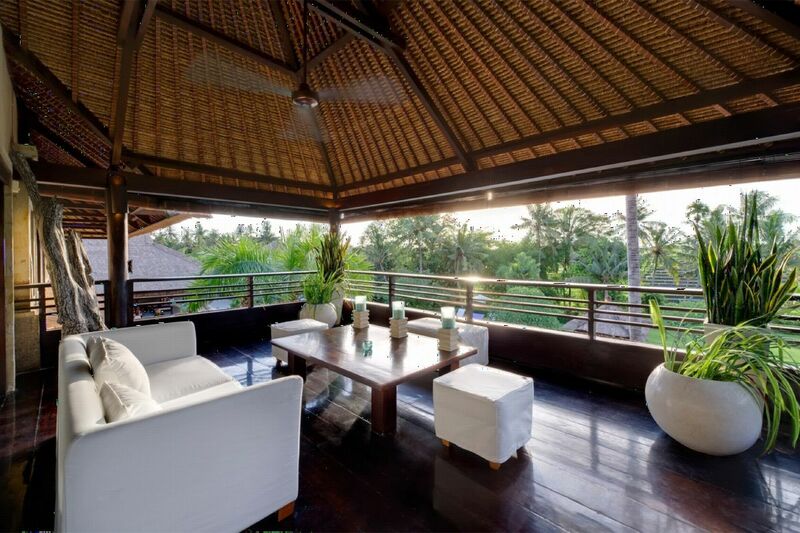 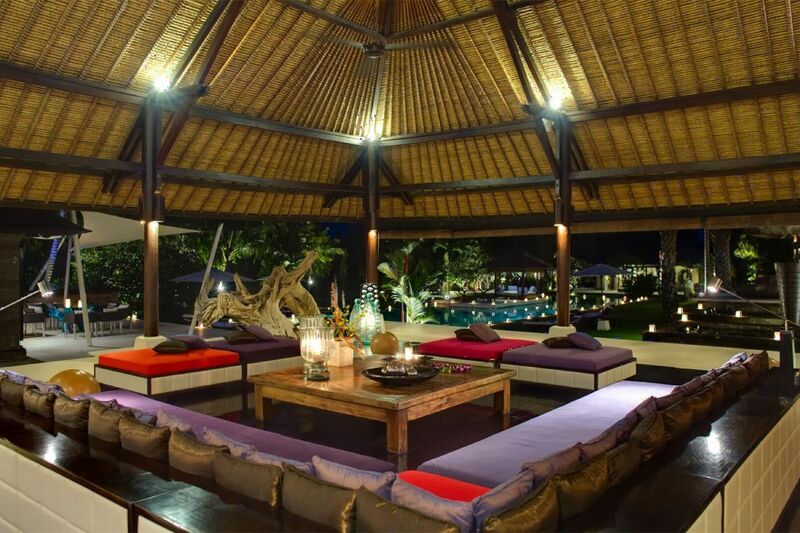 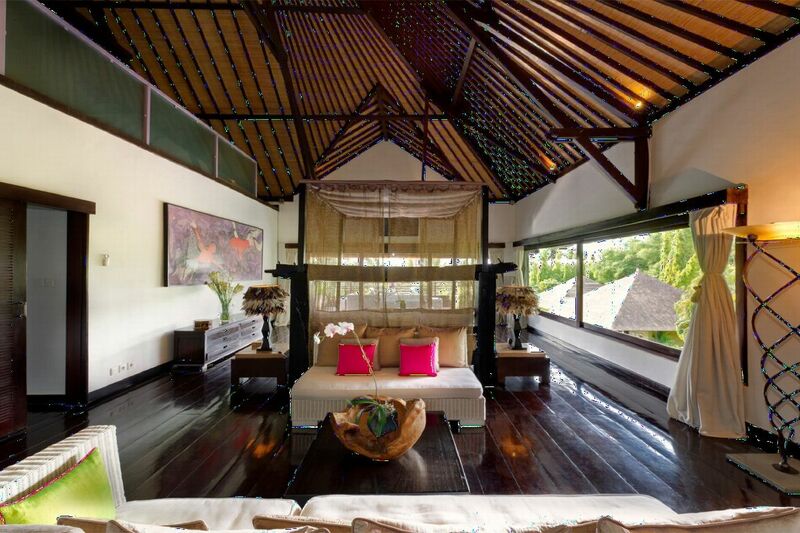 Balinese traditional architecture can be seen by thatched roofs, sandstone walls, polished stone, dark wood floors ... 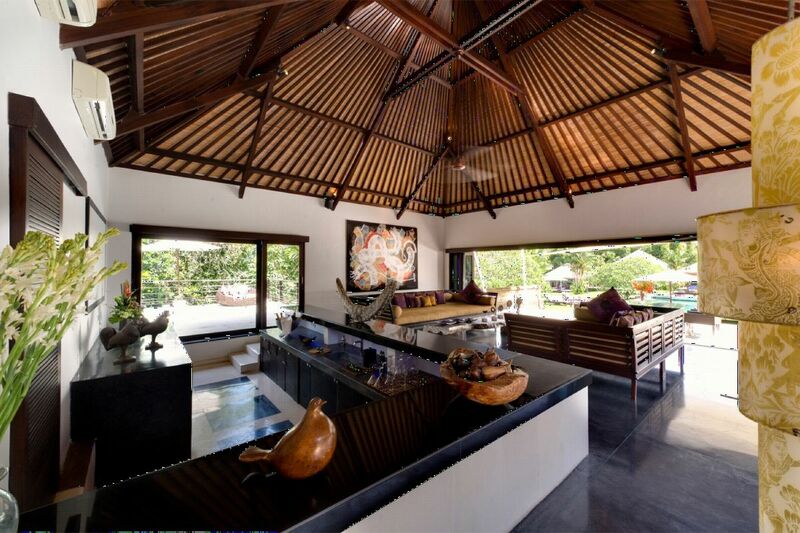 It perfectly highlights the union of cultures between modern art and sculptures from Indonesia. 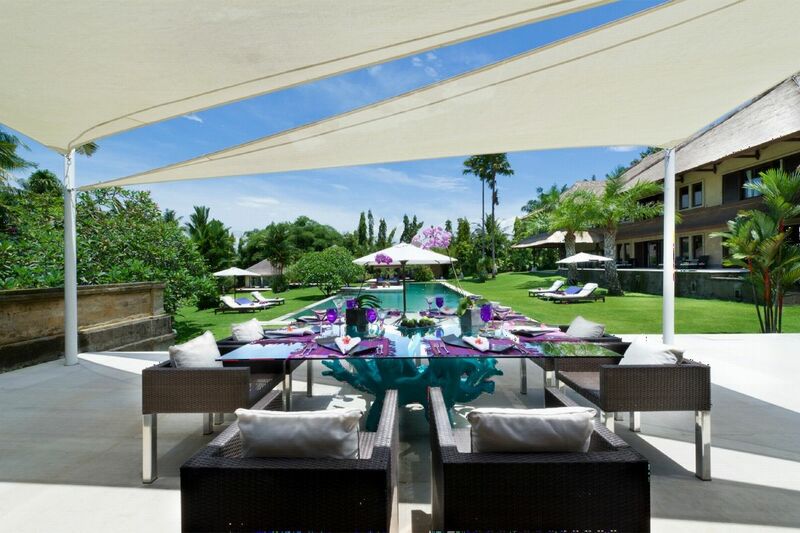 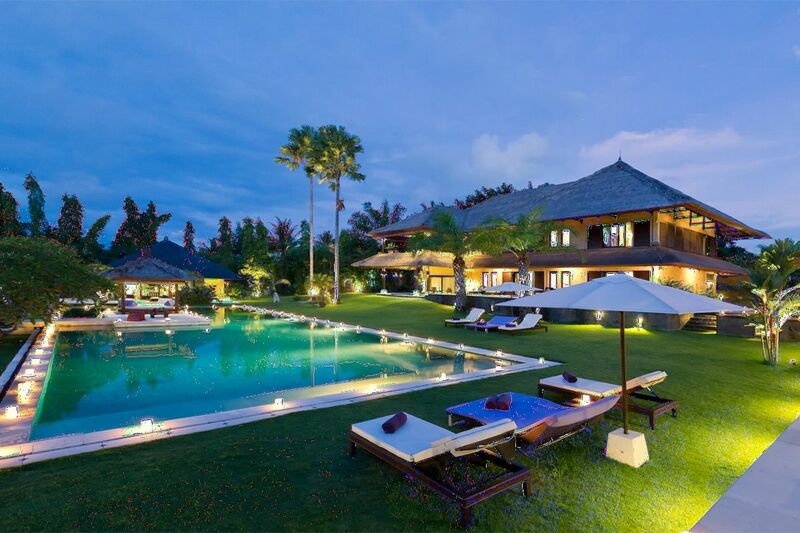 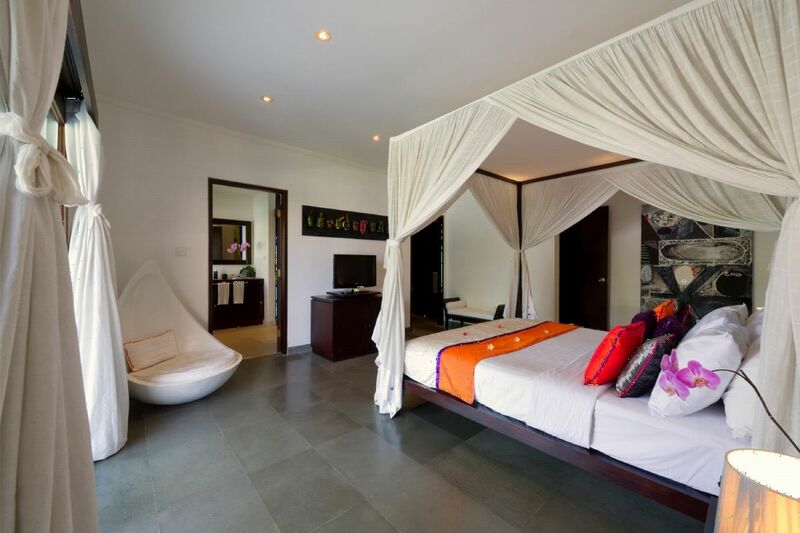 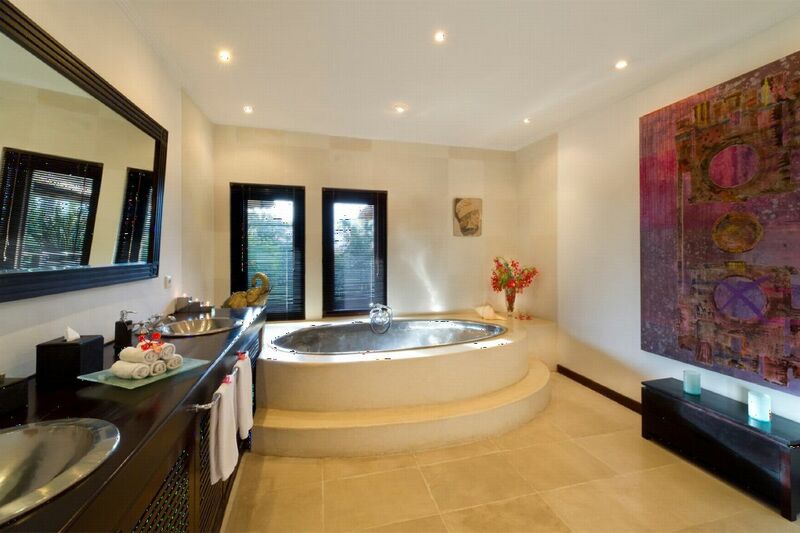 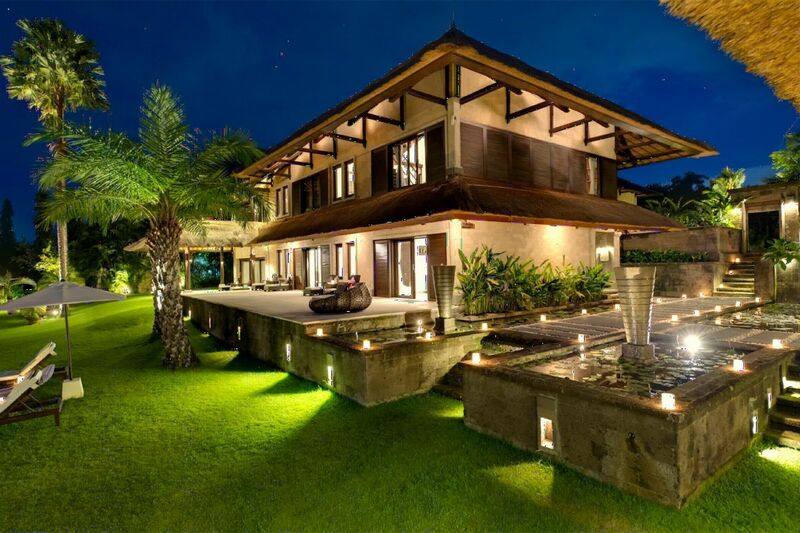 The villa has 6 bedrooms, a convertible office and an exquisite pool ideal for meditation or relaxation. 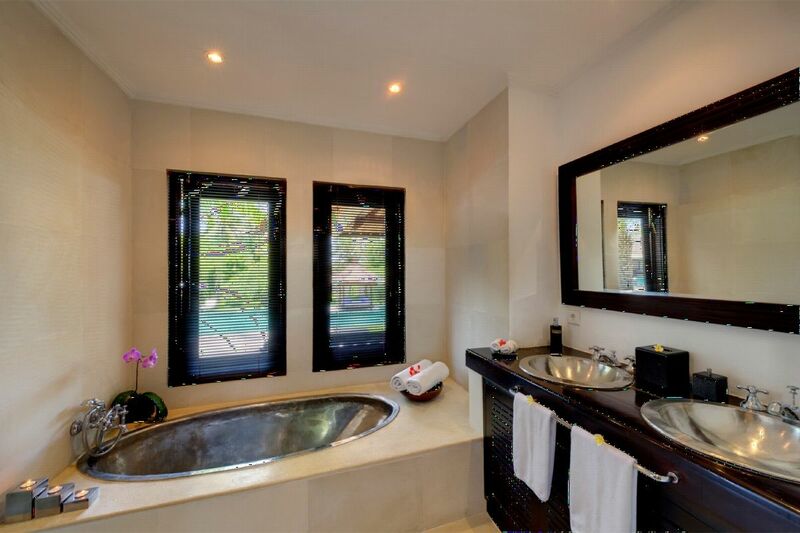 It is a world of total peace and privacy that you will find when entering villa Chalina.